Congratulations to your cadet! 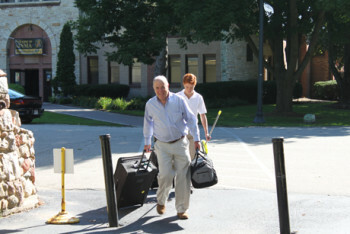 He has completed his academic year at St. JohnÃ¢â‚¬â„¢s Northwestern Military Academy and his summer break is right around the corner. So where will you store all of his items for the summer? All his gear? And his footlocker? 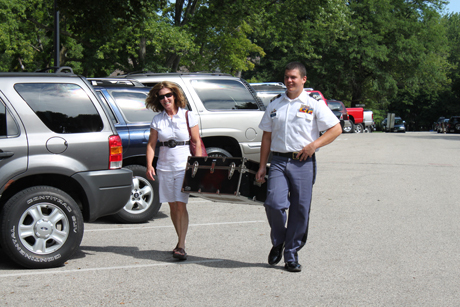 Zippy Shell Storage and Moving makes storing your cadetÃ¢â‚¬â„¢s belongings for the summer convenient and affordable! Reserve space by calling (262) 349-1601 orÃ‚Â emailÃ‚Â . Zippy Shell Storage and Moving is owned and operated by a local St. JohnÃ¢â‚¬â„¢s Northwestern Military Academy host family who understands the logistics of packing, shipping and storing your sonÃ¢â‚¬â„¢s items. By simple design and convenience, Zippy Shell will deliver a storage container directly to campus. The cadet will load his footlocker, extra boxes, sporting equipment and gear into the secure storage container. Once your son has loaded his items, the locked container is transported and placed in our secure, climate-controlled facility. When he needs his items back at the beginning of the fall semester, Zippy Shell will deliver the storage container to St. JohnÃ¢â‚¬â„¢s Northwestern Military Academy at registration! Let us know if you have any special requirements. LetÃ¢â‚¬â„¢s get this job done! The affordable rate for this convenient, summer storage service is $300. Please call (262) 349-1601 oremail to reserve your cadetÃ¢â‚¬â„¢s storage space.